Professional Scrum Master II (PSM II) course is a 2-day advanced Scrum Master class designed to support Scrum Masters in their ongoing professional development. The PSM II class is intended for Scrum Masters with at least one year of experience who are looking to grow their knowledge and abilities as a Scrum Master. The course also includes a free attempt at the globally recognized Professional Scrum Master II (PSM II) certification exam. Unlike the Professional Scrum Master (PSM) course which focuses on how to use Scrum, the Scrum framework and the role of the Scrum Master, PSM II is an advanced course that dives deeper into how a Scrum Master can improve their effectiveness serving the Scrum Team, Product Owner and organization. Through innovative interactions, students explore related practices and skills to enable them to have the right types of conversations and apply them to become better Scrum Masters. After the class, students will get a passcode to take the PSM II assessment. After passing the assessment, students will gain the industry recognized PSM II certification, which will never expire. 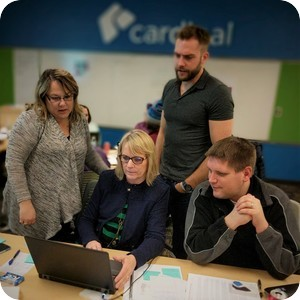 The Professional Scrum Master II (PSM II) course is designed with fresh perspectives and innovative interaction techniques that facilitate learning about areas critical to Scrum Master success. Students explore how the principles and values of Scrum help guide Scrum Masters in the decisions they make to create an environment for agility to thrive. Throughout the class, your Professional Scrum Trainer will provide stories, exercises, facilitation techniques (such as “Liberating Structures”), and resources to help Scrum Masters enable agility, value delivery, and improved team health. Additionally, the student collaboration techniques used throughout class can be applied by students in their teams and Scrum Master communities. All participants completing the Professional Scrum Master II course will receive a password to attempt the Professional Scrum Master II (PSM II) assessment, included in the cost of the course. If you attend this Scrum.org class and attempt the PSM II certification assessment within 14 days but do not achieve a score of at least 85% you will be granted a 2nd attempt at no cost. You are also entitled to a 40% discount on the Professional Scrum Master III (PSM III) assessment. "Extremely useful materials I will take back to my teams." "Loved the exercises! They kept the learning real and applicable." "My favorite part was that the instructor could accommodate all levels of learning - novice to expert." "Real life examples were so helpful and showed how to solve problems while staying true to the framework."